He says this was to ensure the continuity of sugar export into the EU and general avoidance of trade disruptions. 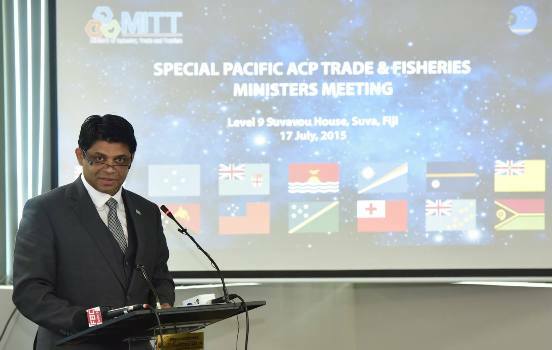 Speaking to various trade and fisheries Minister’s from the Pacific ACP region this morning, Acting Prime Minister Aiyaz Sayed-Khaiyum highlighted that the interim EPA does not include Fiji’s demand for further exports. ‘’The interim EPA in its current form cannot be considered a viable alternative to the comprehensive EPA as it still contains contentious issue and does not include our key demands such as an extension for global sourcing for fresh, frozen and chilled fish and development co-operation’’. Sayed-Khaiyum says the EU’s position in the current negotiations has made it difficult for the region to exercise their sovereign right and it limits the policy to sustainably manage our resources. Meanwhile, the Pacific Trade and Fisheries meeting is hoping that the EU will agree to their proposal for a final negotiating session to discuss the conclusion of the EPA.